In the late 1940s, Creed Taylor set his sights on playing trumpet in a big band or in clubs on New York's 52d Street. But after majoring in psychology at Duke University and spending two years in the Marine Corps, Creed decided he might be better off as a record producer. Passionate about jazz, Creed's college and military backgrounds certainly prepared him for achieving big goals, inspiring artists, and managing creative temperaments. JazzWax: In 1954, you arrived in New York determined to become a record producer. What did you know about producing? Creed Taylor: Nothing. I was just convinced I could do it. I had this drive. It was a mix of naivete and positive thinking. I've always looked at possibilities that way. JW: Even back in Virginia? JW: Did you think you were good enough? CT: Yes. Elliot gave me his card and said to give his manager a call. He said, “When we get back to New York I'll talk to my manager and we’ll give you a call.” I, of course, let that blow over. But I look back on that event and ask myself “How did I do that?” I was naïve. JW: Did you have an inkling of how to produce an LP? 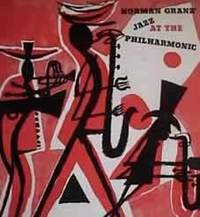 CT: Like everyone else who was interested in jazz at the time, I was listening to Norman Granz's Jazz at the Philharmonic and Alfred Lion's Blue Note recordings. There were great soloists at the time. But I thought the listener’s attention span was being stretched by interminable bass and drum solos. Any solo that went on forever, I thought, was the wrong way to try to make people like the music I loved. So I decided that I would produce records that I liked, recorded the way I wanted to hear them. JW: When you got to New York, where did you stay? 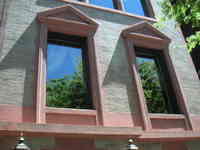 CT: I had a room in a walkup on 86th St. and Riverside Drive. Immediately after I moved in, I went down to a record company near Times Square that had been co-founded by a drummer from Duke University. He had met Gus Wildi, a Swiss guy with a lot of money, and together they had started a company called Bethlehem Records. JW: How was the company doing? CT: When I got to New York in 1954, the label was on its last legs. They were still recording 78-rpms at a time when the 10-inch LP was coming in. I told them, “There are 10-inch LPs out there and you guys have a singer who’s great named Chris Connor." 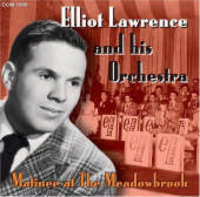 She had already recorded for Bethlehem in December 1953 with Sy Oliver’s orchestra, but they didn't know what to do with her. JW: What did you do? CT: In the summer of '54, I talked to Chris [pictured] and found out she had vast knowledge of great songs that were hip and that she wanted to record them. I told Bethlehem to let me go in and produce the label's first 10-inch LP with her. I told them I was going to call it Lullaby of Birdland. They gave me the go ahead. 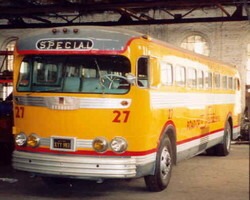 Even though the company wasn’t in great shape, the owner had funds and realized it was a necessary investment. JW: What did you have in mind for Chris? 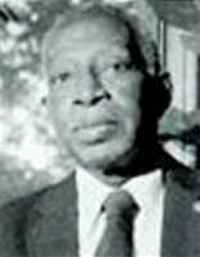 CT: Back then there was a piano player named Ellis Larkins [pictured]. I thought he was fantastic. For me, he was like Wynton Kelly, who was recording for Blue Note and Verve at the time. I told Chris we should do her album with the Ellis Larkins’ trio. She loved the idea. So I called Ellis and booked the Fulton Recording Studios, at 80 West 40th St., across from Bryant Park. I knew Tom Dowd, the engineer there. I had met him at Birdland, and he was a very musical guy. So when Ellis and Chris came to the studio in early August, I sat in the booth with Tom and did what I do today. Chris and I had decided which songs to record in advance. The result was so terrific that a few weeks later we recorded her with the Vinnie Burke Quartet for another 10-inch LP. We also recorded an album in 1955 with Kai Winding and J.J. Johnson. JW: But back in the mid-1950s, producing didn’t end in the engineer's booth, did it? CT: No, no. Once Chris recorded, I had to get the record on the radio. I listened to the radio a great deal then. So I went over to WNEW and WABC with a dub of the session and did on-air interviews. I also worked on point-of-sale efforts. When Lullaby of Birdland came out, I had a big six-foot high cutout of Chris standing in front of Birdland to promote the album. 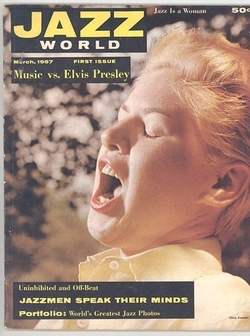 I also brought special copies to radio stations that that allowed radio announcers [such as WINS' Bob Garrity] to dub in their voices, so it sounded like they were announcing her [at Birdland]. Life was very simple then [laughing]. JW: What else did you do for the album? CT: I reached out to radio stations popular with black audiences. The disc jockeys there knew which jazz records were great and which weren't. Their audiences and other jockeys in the city knew that what they played often set the trend. I became friendly with many of these jockeys. They, in turn, were friends with jockeys who broadcast during drive-time hours, which had the largest audiences. Fortunately they thought Chris' album was very hip. I asked if they would talk to the other jockeys and get them to play the album, and they did. JW: How did you put records in stores? CT: I had to become friendly with record distributors and store buyers and merchandisers. Through all of these combined efforts, Lullaby of Birdland became something of a hit for Bethlehem. But none of my efforts would have paid off if the album hadn’t been superb to begin with. Tomorrow, in Part 3, Creed talks about the unique look of Bethlehem's album covers, how he discovered Herbie Mann, the significance of Charlie's Tavern, and how he convinced jazz giants like Oscar Pettiford to tighten up the length of their solos. JazzWax tracks: Chris Connor recorded four LPs for Bethlehem, three under Creed Taylor's direction. The Creed Taylor albums featuring the Ellis Larkins Trio, the Vinnie Burke Quartet and the Kai Winding-J.J. Johnson Quintet remain solid examples of Chris' "slick chick" vocal style and her unrestrained ability to tell a heart-torn story through a song's lyrics. All of her Bethlehem output is available on a Fresh Sound CD here. 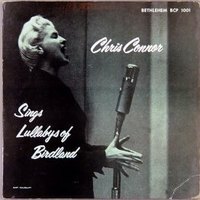 Or you can download Chris Connor Sings Lullabys of Birdland from iTunes, which includes tracks from three of her Bethlehem albums. The remastering on this download is astonishingly clear and crisp. Included in the download is a fascinating Why Shouldn't I (Alt Take 2). At the start of the take, you can hear Creed's voice announcing from the booth, "Cut 2...Go." JazzWax perspective: As you'll hear on these recordings, Creed Taylor's pairing of Chris Connor with Ellis Larkins and then Vinnie Burke were strokes of genius. Connor's husky yet vulnerable voice in 1954 and 1955 demanded delicate instrumentation, not a rip-roaring big band. 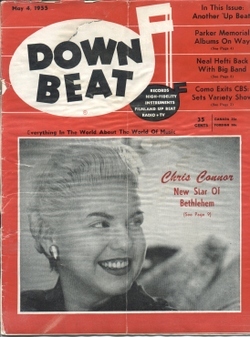 While Connor's two closest rivals with similar phrasing, June Christy and Anita O'Day, continued to front big bands on recordings, Creed and Connor broke barriers, helping to establish the female vocalist as someone with a soft story to tell. 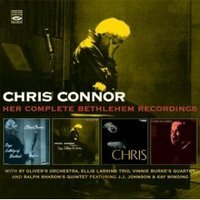 To fully grasp the importance of Connor's Bethlehem sessions, consider this: Months after Lullaby of Birdland hit, Capitol Records decided to try putting June Christy in the studio with only Stan Kenton on piano for the Duets album. Interestingly, the album remains plodding and ill-conceived. 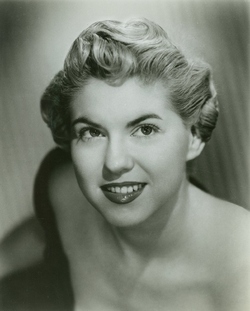 Christy did record with the Ernie Felice Quartet in 1950, but she's really belting out the tracks rather than whispering in your ear. Her only trio date of the 1950s was A Lovely Way to Spend an Evening (1957) with the Shelly Manne Trio. On a re-listen of Christy's trio date, you come to the realization that she really wasn't comfortable being backed by a small group. While she could give it up effortlessly when supported by horns, she had trouble figuring out how to miniaturize her talents with a trio or quartet. As for O'Day, she recorded with the Nat King Cole trio in 1944 and the Tadd Dameron trio at the Royal Roost in 1948. But those dates really were novelty and bop sessions. Her first full-fledged, intimate trio album isn't until 1958, when she records Anita O'Day at Mr. Kelly's. The rise of the intimate female vocalist, supported softly by a lush jazz trio or quartet, starts with Chris Connor and Carmen McRae, who also recorded for Creed Taylor and Bethlehem Records during this period. Since Creed Taylor readily agreed with your assertion that "in the mid-1950s, producing didn’t end in the engineer's booth," you ought to have asked him why his original Bethlehem album cover of Chris Connor sings Lullabys of Birdland contained that egregiously misspelled word. Even if a jazz record producer's budget in those days wouldn't support hiring a proofreader, surely there was a dictionary available at the New York Public Library?